We are beginning our 118th meeting of the Standing Committee on Canadian Heritage. Today we are continuing our study of the remuneration models for artists in creative industries. We have a couple of things we have to do off the top. I apologize for our late beginning. We did have votes. We have one more vote that we must do in committee before we can get started, which is for the election of our vice-chair. Mr. Clerk, would you like to begin? Yes. 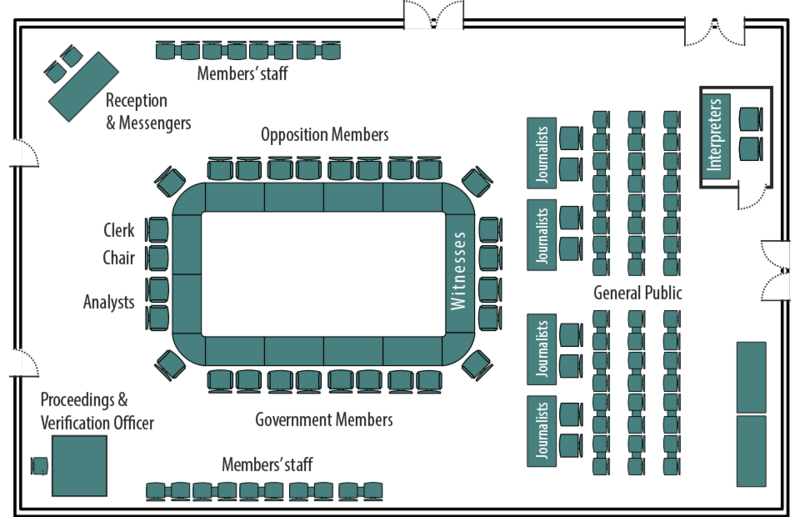 Pursuant to Standing Order 106(2), the first vice-chair must be a member of the official opposition party. I am now prepared to receive a motion for the first vice-chair. I move that it be Mr. Blaney. It's moved by Mr. Shields that Mr. Steven Blaney take the first vice-chair. The Clerk: I confirm Mr. Blaney duly elected as first vice-chair. We have with us today two witnesses. To begin, we have Bryan Adams with us in person. Thank you for coming. We have with us, from Vanderbilt University Law School, Daniel J. Gervais, who is with us by video conferencing. Why don't we begin with your presentation for us, Mr. Adams? Okay. Thank you very much, Madam Chair and members. Thank you for having me here today. It's very kind. I've invited Daniel along because Daniel is an expert in copyright law. I have a proposal to make to the Canadian government for an amendment to the Copyright Act. I've been trying for the past 10 years to get a moment like this to be able to tell you about it. It's quite a simple proposal, and I'll get into it by just going through the PowerPoint presentation I have here for you. It's a proposal for an amendment to the Copyright Act in subsection 14(1). Under the current copyright law, authors and composers who transfer or assign their copyrights by contract must wait 25 years after death to get them back. That's what it is. If you write a script or you write a book or you write a song and you assign your copyright to a company, you have to wait 25 years after you die to get it back. I can say it again, but I think twice is enough. In comparison, the current U.S.A. copyright law was changed in January 1978. The U.S. government decided that copyright should revert back to the author and composer, upon request, 35 years after assignment. After you've given it to a company or you've made a deal for your book or your song, 35 years later it returns to you, and you can decide whether you want to continue with that company or keep it for yourself. My proposal is that we change one word in the Copyright Act, in subsection 14(1), from 25 years after “death” to 25 years after “assignment”. It's one word. That's all we need to do. That way we get into the final part of my presentation, which is the reasons for change. Before I do that, should we ask Mr. Gervais to make any comments or should I continue my proposal? It is up to you how you'd like to do it. You can go through your entire presentation if you'd like, and have Mr. Gervais present after you, or if you'd like to go back and forth, you can do it that way as well. Well, at this point maybe I'll let Mr. Gervais come in, and then we can go through the reasons for change. I'll give you the floor, Daniel. I have prepared opening remarks, which I sent to the clerk. Should I proceed with those at this time? Thank you very much, Madam Chair and honourable members of the standing committee. I thank you for the invitation to testify today. I'm really sorry I couldn't be there in person. As you very well know, copyright policy is a very difficult balancing act—or perhaps I should say a series of balancing acts between, for example, creators and those to whom they entrust the commercial exploitation of their work. Other balancing acts are those between, for example, those commercial exploiters and the public, between major online intermediaries and copyright owners, between educators and copyright owners, and between librarians and copyright owners. There's a long list, but today I really want to focus on what Bryan just mentioned, which is the balance between creators and those to whom they entrust the exploitation, the commercial use, of their work. Copyright is meant to encourage new creators to try to make a living by creating new art and more established creators to continue to produce the works we all enjoy and from which we learn. Copyright is directly linked to many forms of human literary and artistic creation. We all know how important that is in a society. Therefore, how policy affects the creation of new works of art and literature is crucial to both cultural and economic progress. There's one point I really want to emphasize. It's true that some quality contributions to human progress are created by amateurs, people who don't create for a living, but that is not the rule. Talent, however you define this term, has not been distributed evenly. It is true that even abundant talent needs time to be honed, nurtured and developed. One example I like to give is Mozart, who started composing as a child but did not really write anything we still listen to, two and half centuries later, until he was 21. The nurturing of talent over decades is a very important function that copyright policy can accomplish. I for one will take Denys Arcand, James Cameron or Denis Villeneuve any day before even the cutest video posted to YouTube, if I can put it that way. There is a strong cultural argument in support of creators, but of course there is a sheer economic argument as well. In this knowledge economy, creativity is replacing the production of material goods. Therefore, as a matter of both human and economic development, policy should ensure that those who can and will push their creative limits, including in developing new art and knowledge, can do so. That takes me directly to this topic of section 14. A key feature of copyright rights is that they are transferable—except for the moral right, of course. Transferability is meant to allow authors to work with commercial intermediaries such as film production companies, record labels, book and music publishers, and so on. Those companies market the work of authors and allow authors to monetize their talent and their craft and, in doing so, to make a living and continue creating. This is often the key mechanism that allows authors to be authors—to have the time to dedicate to this unique function that is so important to human cultural and intellectual progress. The ability to transfer and license third parties is essential to the copyright system in Canada and elsewhere in the world. To take just one simple example, novelists and essayists who want their books published by a publisher must be able to give these publishers some sort of exclusive right. Almost all transfers of copyright happen on the basis of an open contractual relationship and negotiation. This means that the parties bargain from their respective positions. Their clout will vary according to a variety of factors. To take an example, if you're an unknown author publishing your first novel and working with a major publisher, you probably consider yourself very lucky and will just sign anything put in front of you. It is also true that in most cases it's very difficult to predict the commercial success of a new work. Countless novels, for example, were rejected by publishers. Marcel Proust, Rudyard Kipling, Louisa May Alcott and so many others were all told they had no chance to make it as writers, yet their works have been read by millions and are still widely read today. Many great songs were rejected by music publishers and became major hits. This means there is undoubtedly a risk in investing to develop new authors and in producing new works from established ones. The question Bryan and I raise today is this: how long is the reasonable period of commercial exploitation that is necessary to allow a publisher or producer to recoup investment and make a profit? Many national laws around the world recognize that letting an assignee keep copyright for its entire duration makes very little sense. Even the United States, as Bryan mentioned, which is not the most author-friendly jurisdiction in the world, has adopted a reversion provision in its 1976 Copyright Act. A provision of this sort is needed because of the unequal bargaining position of authors, resulting in part from the impossibility of determining a work's value until it has been exploited. Also, under U.S. law, says the report, this right “cannot be waived in advance or traded away”. Whichever method is chosen by the legislator, the law must recognize the unequal bargaining position of authors and its unfairness. Allowing the rights to revert to the author after a reasonable period of time is a very powerful way to limit this unfairness. Other countries have opted to limit the contractual ability to transfer rights, especially to future works. That's probably because they assume that an author would only agree to such a transfer if she had no choice due to her unequal bargaining position. This is the case, for example, in Belgium, France and Spain, to name three. Germany goes further and provides authors a right to revoke an authorization given to a publisher if a new form of exploitation appears, and over the decades that follow the transfer of a copyright, this situation is almost certain to arise. The Canadian act, like the 1911 U.K. act from which the original Canadian statute is derived, provides reversion, but in most cases the provision is essentially meaningless. As Bryan explained, the author must comply with a difficult condition to exercise this right. Namely, he or she must first die and heirs must then wait 25 years. There are many rebalancing efforts that could happen in copyright, but I respectfully submit that it is time to rebalance this relationship between authors and those who exploit their works by contract. The U.S. requires a 35-year period. Canada could, in my respectful submission, do better and institute a 25-year reversionary interest. There are a number of administrative requirements in U.S. law that need not be adopted in Canada. In my submission. there are only three important conditions for reversion that should be adopted. The first is that the reversion should happen only by request of the author. The second is that the assignee be given sufficient advance notice of the author's intention. The third is that a public notice be made available, which is perhaps a function that could be entrusted to the Copyright Board of Canada, for example. Those were my introductory remarks. I am at the committee's disposal to answer any questions, of course, including about any other aspects of author remuneration. Thank you very much. Do you have something to add after that? We have the last page of our proposal. As Daniel has just said, 25 years is plenty of time for copyright to be exploited by an assignee. The second point is that an author or composer can see a further potential financial benefit of their work in their lifetime and reinvest in new creation, and this would happen by having a reversion—it's an incentive. This is the single and probably the most efficient subsidy to Canadian creators at no additional cost at all to the taxpayers. I don't know if we need to get into it at this point, but the U.S. industry is benefiting from additional advantages compared to Canada. Authors, composers and songwriters are benefiting from the fact that they are getting their copyrights back earlier than Canadians are. That wraps up my presentation, ladies and gentlemen. Thank you very much. If you have any questions, I'm at your disposal. We will now begin our question and answer period. Mr. Breton, you have the floor for seven minutes. It's a pleasure to be back on this committee. I thank our two witnesses for being here with us today. Mr. Adams, I want to thank you particularly for joining us at this table. We are honoured. I congratulate on your 40-year career, your 14 studio albums, your 70 million albums sold worldwide, your 5 Golden Globe nominations and your 3 Academy Award nominations. These are very impressive achievements, which make Canada proud. I'm not getting any of the translation in my earpiece. I'm sorry. I'd like to propose that I get my guy to come in and help you guys get this audio equipment worked out. Here we go. Got it. I have you. The music industry has clearly evolved a great deal over the past years. Could you tell us a bit about the evolution of the music industry you observed since the beginning of your career over the past 40 years, particularly with regard to the remuneration of artists? Do you have any other suggestions to make, aside from the ones you made earlier with regard to subsection 14(1) of the Copyright Act? I'm sure I could get into giving you many suggestions on what to do for remuneration, particularly with the Internet, but at this stage I think this would be a very big step in the right direction to help composers and authors in Canada to own and control their work and at least have the opportunity to decide if they want to or not going forward. The one point I want to make is that it's all right for someone like me who's had a long career, as you described. I'm really not standing here today for myself as much as I am standing for the young artists and authors of Canada who are coming forward. If a change did happen, it would affect me on some level, but it would definitely benefit the younger generation more going forward. It's a bigger question. Your question is a very big question: what could we do going forward to help? It's another discussion. It really is. As an international artist, have you seen models elsewhere in the world that we could consider here? Could you tell us about those models? The most evident one is obviously the American one, as I described. I think it's a good starting point. Even that platform, as Daniel said, is not the most author-friendly country, but at least it's better than what we have. When I first discovered that this was in existence, I was a little bit puzzled. I couldn't understand why anyone would even want to create something that was so difficult for songwriters, composers and authors. Why would you want to limit their creativity on any level? It's important that everyone understand that in some cases, some people may create only one or two things in their lives. They might write The Catcher in the Rye, and it might be the only thing they will ever do in their whole lives, but it's such an influential and powerful piece, influencing so many other people and other writers and inspiring people, that it's important that it be their destiny to control it eventually. At least it would be inspiring to think that it would come back to them. Do you see what I'm saying? When you as a young writer sign something over, as I myself did...I was 15 or 16 when I signed my first songs over to another publisher. I was just happy to pay my rent. That's it. People ask me what the single most exciting thing is that ever happened in my career. I can tell you it was the day I could pay my rent. I was grateful. I still am. I think I've answered the question. Mr. Blaney, you have the floor. I thank the members of the committee for their confidence. Mr. Adams, when I was 19, I went to Old Orchard Beach, in Maine, on a motorcycle. It was 1984, and the song Summer of '69 was being played; it was very good. Thank you for being here today. Mr. Adams, you said that one way for us as Canadians to reinvest in our artists would be to return the ownership of their copyright to them after 25 years. What triggered this involvement for you to be here? You mentioned the next generation. What made you realize that the situation makes no sense anymore in Canada and that we should evolve? Can you explain your motivation in bringing this forward today? I think it's fairness. Canada is seen around the world as this beacon of safety. I think we can do better. I've been working in this business for a long time. I see how other countries behave and how they treat people, and I think the future really is.... It's so difficult today for artists and songwriters to really get paid. Anything that can help them gain control over their work going forward—even if it is in harmony with other people so that it is symbiotic, so that both publishers and artists are working together to move forward instead of it being one-sided—I think would be fair. Who would think up the idea that 25 years after you die you get to own your house? I'm sorry, but I just don't think that's fair. You began your career several years ago. Given the advent of social media, is it more difficult today for an artist? I know that this is a broad topic. At the time, you could make income as an artist from the sale of CDs. There were cassettes as well. Today, we have streaming and platforms. Mr. Adams, could you share your thoughts on this topic, since the committee is going to be studying this? It's a bigger question, as your colleague was talking about. I'll be honest with you: it was never easy. In the beginning for me it wasn't an easy thing to become recognized. As Daniel mentioned, many authors got kicked out the door. It happened to me here in Canada as well. People were just not interested. It's an artist's legacy. You have to go back. He said, “I'll send it.” I have it on my wall. I have the $1 cheque. I never cashed it. That's what it comes down to. You sign for a pittance in the beginning. If you're lucky and if you have a machine behind you, you can create a lot of interest. Yes, social media is a very big aspect for artists these days, but there are no guarantees and there are no guarantees in the long term of how long you're going to be there. I've had a really blessed career, and I thank the Canadian public for that, because I've been able to continue to make music and be recognized in this country and around the world, so I'm grateful. I'm one of the few, so I'm here without having asked any of my colleagues in the business what their opinions are on this. I've come up here on my own to say I think we can do better in Canada. I'd like to put one last question to Mr. Gervais. You mentioned that we know now that in the United States it's 35 years after the agreement. Do you have examples of the copyright in other countries, whether we're lagging behind them? What is it in Europe or Australia? Can you give us an overview of what's going on elsewhere? If I may, I'd like to specify that I spoke in English in the beginning because there are lot of people who are listening to us in the United States and Europe. So, I thought it would be good to start in English. I am nevertheless very happy to show through my accent that I am a Quebecker. To answer your question and that of Mr. Breton—both excellent questions—I would say that the big change consists in the fact that there are almost no mechanical royalties now for authors, that is to say the royalties authors got when they sold CDs. Those royalties were a very important source of income, because they were shared 50-50 between authors and publishers. Nowadays, the mechanical royalty has almost disappeared, if you compare the percentage to what it used to be. Currently, we have to deal with online streaming. There are two problems with streaming: one is the size of the pie, and the other is the share of the pie that is given to authors. These are two extremely important issues. As for collective management, one of its advantages is that the government, through the Copyright Board of Canada for instance, can intervene with regard to the share that is given to each group of rights holders. There are indeed several models elsewhere in the world. In its1911 law, the United Kingdom had a rights reversion clause, which we have been discussing today. Unfortunately, it removed it in 1956. In Europe, there are different mechanisms, that is to say that there is a limit on an author's power to transfer his or her rights. Some people feel that is too strong in intervention. However, the Europeans have adopted the viewpoint that in the beginning of his career, an author will sign practically anything, as Mr. Adams said. Their viewpoint is that an author is not allowed to sign any document that transfers all of his rights, because when he does so, he is in a weak position. And so European countries, particularly on the continent, limit the author's power to transfer his rights. As I said initially, Germany goes much further. It gives the author the right to take back his rights in certain situations, even if the contract does not allow it. And so, there are several ways of recognizing that an author at the beginning of his career is in a vulnerable position. I now give the floor to Mr. Nantel for seven minutes. Thank you for being here today, Mr. Adams. This is fascinating for all of the members of the committee, as well as for all of those in the arts field who are observing our proceedings. It's rare that we have the opportunity of welcoming a real artist who pursued a career in an industry that valued talent and saw to it that artists were remunerated. That was certainly advantageous for the artists, and for many record companies like the one I worked for at the time, Sony Music Entertainment. I was well aware of all the marketing costs we recovered from artists' royalties, and so on. It was a system that, generally speaking, worked well. I see that this year, the rights for the album Cuts Like a Knife, which everyone here knows, would in fact be cleared under the current act. You could recover the rights and the master recordings. This is probably the main issue; is it the rights on the master recordings that are cleared, or on the publishing deal? And as for the master recording, can you recover it, or do you have to buy it back? How does that work? Well, I mean, if you were in America, for example, master recordings and songs and publishing are transferable at the request of the artist or the composer after 35 years. Unless you request it, it maintains its life with the assignee. It's as simple as that. I think most members were here when Damhnait Doyle, from Newfoundland, came. Daniel, would you say that's correct? Did I answer that correctly? Authors can get their copyright. Any copyright transferred by the author you can get back after 35 years in the U.S. Okay. Are the terms the same for the publishing deal? —on these record labels, and we see “C” and “P”, so we're talking about both the C and the P.
Oh, that's true. You're right. Yes, because Cuts Like a Knife was in 1983. You're right. It was 1978. At the time you got signed, were you under the impression that the MAPL system, the rules we had for radio, helped you get signed by a major label? I don't know if I benefited from it in the signing aspect, because literally there was a boot mark from kicking me out of most of the studios and record companies at the time, but I will say that I think it probably helped. In the same way that a percentage of the music that is played in France has to be French content, I think the same thing has helped Canadian artists, without a doubt, here in Canada. Without a regulatory system, a mandatory system, for playing Canadian music, we'd just be playing what the hits are south of the border. We would never have recognized Canadian talent, so I think it's been helpful. I was tracking on radio. That was my job, to call the musical directors and say, “Play my song, play my song”, so in terms of the words you're using, and what you're describing, I understand clearly what you're talking about. The reality, however, is that the market has changed so much. Since most people are streaming, that's all the papers talk about in music. The fact is that Spotify remains the biggest one. Do you think there's something we should do to cut out someplace for Canadian artists in this environment? I think so, but again, it's another question. There are so many different parts of this rainbow. I came here just to focus on what I think would be the simplest change, at this point, to help authors and composers. There's a much bigger problem with how to help artists and composers beyond this. You've just highlighted a couple of those points. I'll mention what I think was one of the most touching moments we had here. First, it's very important that you real McCoys come here and tell us your reality. Your reality is not that you've been suffering from exploitation—you had a wonderful career that you're thankful for and that we all appreciate—but then there are people like Damhnait Doyle from Newfoundland. Do you remember the fiddler? She came here and was telling us that there's no way she can actually have a middle-class income to pay for taxes and stuff in such a situation. Getting access to her master tape or to the recording of her albums when the contract ends—not after death, as you say—would surely help her remarket and make new deals. Since Mr. Gervais has said that many people are listening to this in the States, I have to tell you that I'm still wondering if there's something we can do to help our artists, our cultural diversity, since obviously the record labels and publishing houses have made bizarre agreements with these streaming services. They're giving you something like three thousandths of a cent per stream for one of your songs. I hope your coming here will bring a lot of focus to the study we're doing. I thank you for the angle you've brought. I wish for you that the next album.... What's your next album to be freed from this? Mr. Bryan Adams: —but now that you mention it, it will be in January. Good luck with that. Let's hope next time it will be 10 years earlier. On that note, we will go to Mr. Long, please. Thank you, Mr. Gervais and Mr. Adams, for coming today to give us your presentation. Mr. Adams, congratulations on your wonderful, beautiful music career and the beautiful music you provide us with. I still say—let me indulge—that yours was the best rock concert I have ever seen. I'm from Saint John, New Brunswick, and you played at Harbour Station in 2005. You came back with an acoustic tour a few years ago. The concert you gave in 2005 still gives me shivers. My background is major junior hockey. I was part owner of the Saint John Sea Dogs major junior hockey team. Certainly I've dealt for years with agents and players in negotiations and whatnot. My question to you—you've kind of answered around it a little bit—is that good negotiation always comes with leverage on both sides. Both sides of the party need a little bit of leverage to have good negotiation. One thing I've certainly seen with artists in music...and you'll have to forgive me here. I'm new to the committee, so I've missed a lot of the previous testimony. I grew up listening to music by the Stampeders, Edward Bear, Lighthouse, Chilliwack and artists like that. Those artists and new artists have no leverage. As you mentioned in your testimony, you were just happy to sign a deal to pay your rent. This is kind of a two-pronged question, but structurally, just name me a couple of things we can do as government to help give new artists more leverage. What can we do? That's fair, but there must be a couple of things, though, that we could do to help artists, just at a higher level, to have a little more leverage when they're doing these things. Sometimes you get lucky, but it's not a guarantee. There's no guarantee that just because you sign a deal with somebody you're going to be a hit. There are a lot more factors involved. I mean, one of the things that people said to me when I walked in was, “Do you have a band?” Well, no. They'd say, “Do you have a manager?” No. They said, “Well, then, get on your bike.” There wasn't.... You need to have all the components in the beginning. Look, I was really lucky. I signed when I was 18. I went on to have a couple of albums that were duds. My record company supported me through the duds, and then we had a hit record. With artists nowadays, if you don't come with your best foot forward, you're pretty much toast. That's why a lot of artists go to hit-making machinery. They go to people who are songwriters, to other songwriters, other teams, and other producers, to try to make their record so that they do have their best foot forward when they come out. It doesn't necessarily make for an individual's artistic stamp. It takes time to develop things. In the beginning, you have to be grateful for the opportunity that you can pay your rent and that you can get to the point where you are in control of what you're doing, but at that point you need to be able to take over and let your artistry do the talking. That's what happened to me. Once I figured out what I was doing, it was like, okay, I know what I'm doing now. I've done the university of rock. I've played every club in this country. By the way, a lot of the clubs don't even exist anymore. How do young artists even go out and get their music played? They think that going to the Internet is going to make a difference, but it doesn't guarantee anything. No one.... How are you even going to find this person? There are a lot of factors involved in getting to that point, but in the end, the most crucial thing is having that talent, having the song. It's an elusive thing. It doesn't happen every day and it doesn't happen to everyone. Right. Thank you for that. I have another question, just out of curiosity. Again, I'm new to the committee. You have it here right in front of me that 25 years is enough time for copyright to be exploited by an assignee. My question is, why not 20? Yes, so where's that sweet spot? Why are you settling on 25? I'm just curious. I'm not actually settling on 25. I'd be happy if you went for 10. If you look at the way that things have been done in the past, if 35 years after death was fair up until now, what's fair going forward? The paradigm has changed so much. Should we not reconsider something that's fairer to artists? Hence my appearance today. I agree with you that it doesn't have to be 25 years. It could be less. I have never discussed this with any other artists. My colleague Jim Vallance and I have discussed it, but I'm not sure.... This is perhaps where Daniel could step in and have a voice about this. I'm sorry. I'm just going to jump in to warn you that you have about half a minute. Maybe somebody else will pick that up. It's like the term of a copyright or a patent. There's no perfect answer. You pick a number that seems to be in the right sweet spot, and 25 is I think a good number. It could be 20. It could be 30. It's somewhere in that range, I would argue. On that note, we will go to Mr. Yurdiga, please. Welcome to our committee. It's a first time for me, too, so I'm very excited to have you here. We were talking about changing some of the wording in the document, regarding copyright from after death to—what did you call it?—assignment. Is there any push-back from the publishers? Obviously their medium is vast. A lot of Internet providers are providing songs that are illegally obtained, so publishers need to be protected in some manner. Do you think publishers will push back really hard if we say 20 years? What's the magic number they'll be happy with, in your opinion? I'm pretty sure that if you spoke to any publisher, they would be quite happy to leave it the way it is. Why would anybody want to relinquish control to somebody else? In a publisher's world, they would want to amass as much as possible for as long as possible so they could sell their company for as much as possible. The question I'm here just to ask everybody is whether that is fair. Is it fair to the people who are...? Publishers don't create work. They don't create compositions. They don't create books. They're just literally the medium to help push it out there. I have my doubts as to whether they're as effective as they were 20 years ago; the Internet has changed that so much. They're probably facing the same dilemma that everybody else is: How we are going to go forward? I would argue they would probably want it to be as high as possible, judging from the experiences I've had with publishers. You know, in a business world, even in agriculture, it's usually a 20-year number for a return on your investment. Actually, the idea of a house is a good parallel, I think, because it's something you build upon. Copyright and ownership of copyright is something you'd build upon as an artist in your own catalogue, so I think your analogy is quite good. My next question is to Mr. Gervais. From your perspective, will changing it from 25 years after death make a big difference? What does it really mean to the artist? What will they get in return? It's already been published and it's out there, so what does getting the copyright mean to them? What's the advantage? Thank you, Mr. Yurdiga. That's a fantastic question, because what happens to a copyright that's transferred for an extremely long period of time, such as under the current system in Canada, is that the publisher very often will see these as back catalogue works that just keep producing a little bit of revenue each year, which they add to their other revenue. If an artist gets the rights back, they have a huge incentive to remarket and release new things with the work that they produced 25 years ago or 20 years ago. One fact that we see in the U.S. is that even foreign authors can get their rights back in the U.S. It's mostly U.S. authors who are using the system because they are more familiar with their own, so I think what would happen in Canada is you'd see many Canadian artists getting their rights back and then pushing more Canadian content, more Canadian music, more of other types of Canadian copyrighted material. The incentive of the proposition is completely different from the case of a publisher who owns this older back catalogue, which in some cases they have really very little incentive to use at all, and an artist who gets his rights back will say, “Now I have a chance to make it again with this good content that I produced a long time ago.” I think it's a win-win. As Mr. Adams said, there's no cost to the taxpayer, which I think is also useful. We'll now go to Ms. Dhillon. Thank you for coming and testifying before the committee, Mr. Adams. Needless to say, it's an honour to have you here. You're a Canadian icon. Well, I haven't died yet, so I don't know the advantages. —or for those who have passed away, if you...? Well, for those who have passed away, if they are actually getting them back, perhaps it would help their families, their children. That's one side of it, I suppose. Personally, I don't know that I've had.... I'm just here because I want to get there before I die. I'd like to see this happen before I die. I think that answers the question. Well, Mr. Gervais mentioned that one of the reasons to have copyright law is to also nurture creativity for those who aspire to become artists and for those who already are. How has this prevented you from being even more creative? What more could you have given to the music industry had it...? Well, only a small portion of my work is actually under this thing. I own most of my work and most of my tapes. I own most of my masters and everything. There's only a small contingent of my work that is affected. Let's say you're an artist who writes two things in your life, or writes the one book, and it does come back to you. At that point, you would be able to decide if you want to stay with that publisher. Has he done the right thing for you? Do you want to remarket it in a different way? Do you want to bundle it with some new work? Suddenly, it becomes yours. Do you want to sell it back to the publisher again? You now have an opportunity to sell your music not for the $1 that you signed for, but for $1,000, and you can have something else from your work that you did when you were young. Those are the things that happen. That is a huge disadvantage, I feel, because it's not just about the dollar amount; it's also about your limitations on your own creativity, your own creation, because we all evolve later on in life, and you could add so much more. I think this is a very distinct disadvantage that you cannot give even more to the work and hone it as you would have liked to. It is regrettable to wait till after the death of somebody rather than after the assignment of those rights. I would also like to ask you how the royalties would be affected. Is there any major effect on those as well? Well, the way it would work is that if you suddenly got your copyright back, you would own 100% of whatever percentage of the song or book that you wrote. Until that point, it's divided among the members who the contract would have been with in the beginning. You would go from one small portion to the whole portion. Instead of half the pie, you would get all of it. Again, you'd have the opportunity at that point to decide. You can decide that they've done a great job for you, but what if you're signed to somebody in a contract who you don't want to work with, and what if they don't want to work with you? There's no opportunity in this law as it stands right now for you to say, “You know what? In one year's time this is coming back, so let's be buddies and let's move forward, or I'm off.” At this point, they just go, “Gotcha.” It's not fair. No. It stifles your creativity. Yes, and that can have a huge effect on people. I don't even want to start naming names of people who have had their copyright whisked from underneath their feet by contracts that they've signed as youngsters. I'm not going to say that.... It happens in every walk of life, not just in music. We've all had to make deals in our lives that perhaps we wish we could have done better. To be tied to something for such a long period of time without any negotiation whatsoever.... I think we can do better. I think that's a good place to leave it. That will bring us to the end of this hour. I appreciate that you stuck around for a bit. I'm sorry we started late. It's certainly been fun to hear everybody's concert memories along the way, so thank you very much. Mr. Bryan Adams: No, I'm just kidding. I'd be happy to hear them later, too, but we're going to suspend briefly while we wait for our next group of witnesses. We will start up again. In our second hour today, we are reviewing Bill C-391, an act respecting a national strategy for the repatriation of aboriginal cultural property. We have with us MP Bill Casey, who brought forward this bill; Heather Stevens, from the Millbrook Cultural and Heritage Centre; and Joel Henderson. I do not have him on my list, but he is with Mr. Casey. Joel Henderson is my executive assistant. He was instrumental in drafting the bill, to put it mildly. It's good to have all three of you here. Mr. Casey, are we starting with you? I think I'll start the presentation by telling you a little story about how this all unfolded and how I got involved. In 2017 I visited the Millbrook Cultural and Heritage Centre. Millbrook First Nation is a small first nation in my riding, but very progressive. They have a wonderful cultural and heritage centre, and Heather Stevens is the manager and curator. They have a lot of artifacts on display. She was explaining the artifacts to me, and she showed me this—I've passed the picture around for everybody to see—in its own glass display case. I was admiring it, and Heather told me that it wasn't the real one, but a replica. The real one was in Australia. She told me they'd been trying to get it back since the 1990s. Because of different barriers, they hadn't been able to repatriate it. I thought that was not right, so when I came back, Joel and I checked to see if there was any legislation or any government program or policy that would help a small first nation like Millbrook reacquire their artifacts. We knew where they were—they were legally in Australia and everything—but just in general, we wanted to find out if there was any way the government could help. There was no way. We decided to draft this private member's bill, mostly just to give a voice to indigenous peoples and to know that there's a strategy on behalf of the government to help them get their artifacts back. We started it out that way, with the very small goal of just adding a voice—that's the way I like to put it—to indigenous peoples' voices. The amazing thing was that when I tabled the motion at first reading, I spoke for two minutes and 37 seconds. I talked about the robe and I talked about it being in Australia, just to introduce the bill. Three weeks later, the Australian embassy called and asked if the ambassador could come and see me. I told them, “Of course”. I didn't connect it. I just thought she was doing her job and making good connections. She came in, she sat down, and we talked for a little while. All of a sudden, she told me that she'd been in touch with the Melbourne Museum, where the robe is, and they were prepared to begin negotiations to repatriate that robe. I was floored. I couldn't believe it. Two minutes and 37 seconds in the House was better than 30 years of trying on behalf of indigenous people. It was a profound moment for me when she said that. I couldn't believe it. She gave me the name of the people in Melbourne to contact. She was very outgoing. When I asked her why she had done this, she told me that in Australia they have a thriving indigenous community. They have a rich heritage and rich culture, and they want their artifacts back. How could they ask Canada or other countries to please return artifacts if they wouldn't return theirs? As a result, that process is under way. The magic to me is this. We have here a young aboriginal woman from Nova Scotia, from Millbrook band, and she is negotiating with a young aboriginal woman in Australia. It's not Australia to Canada or Canada to Australia: it's first nation to first nation, 15,000 kilometres apart. To me that's very meaningful. I think it's an indication of where we're going as a country and as a globe with respect to indigenous relations and respect. We've already had an impact with Bill C-391, even though it hasn't passed. We don't have this robe back, but we're well on the way to getting it back. I'm optimistic that we are going to get it back, and the other artifacts with it. I've passed around this article. It's not in either official language. It's in Chinese. This private member's bill was picked up in China. I know what it's about because it has my picture in it. Mr. Bill Casey: They also spelled my name right, which is the important thing. That's the impact it's had. We had calls from Germany. We had calls from Britain, the U.S., and all over asking about the details of the bill. We had a call from the Secretary General of the Commonwealth Association of Museums, which represents 52 countries with thousands of museums. They suggested that they may use this bill as a template for other countries that are trying to get their artifacts back—especially African countries, which have seen many of their artifacts taken all over the world. Therrefore, we've already had an impact. We had one family call and tell us that they have indigenous artifacts and they don't know what to do with them. This bill would provide a place for them to go. The family told us that they want the artifacts to go back to the proper people, to go back to the people they came from. They don't know what to do. This bill will help to provide that doorway that people can go to if they do have artifacts to return. That's in Mount Currie in British Columbia. I thank you for your efforts in the introduction of this Bill C-391. I am currently pursuing the very same action of repatriation. If there's anything we can do to [help] strengthen these efforts, please [let us know]. We've heard from indigenous peoples all across the country. When we started, we consulted with just our local indigenous community, but since then we've consulted with dozens of museums and indigenous communities to make sure that we did this right. When we first started, we didn't realize what a big thing this might end up being. It was just to add a voice. That was our goal, just to add a voice, but it seems that countries around the world are really anxious to have their artifacts repatriated. In a coincidence, I went to the Indigenous Tourism Association meeting last spring, and the number one issue to them was repatriation of artifacts for economic purposes—not for heritage and culture so much, but for economic purposes, because people who want to come to first nations are really interested in the history and the heritage and they want to see the artifacts. They want to see the history. The young people want to see how things were made. They want to see the talent. They want to see the processes that were in place in the 1500s, 1600s and 1700s. That's what this artifacts issue is really about. In the U.S., they did it a little differently. They developed the Native American Graves Protection and Repatriation Act, which requires confiscation of artifacts. Our bill does not require confiscation. It would mean that if artifacts are available or have been obtained through nefarious approaches, the Government of Canada has a structure and a policy to help first nations bring them back. Millbrook First Nation has about 1,500 to 2,000 people; it depends on how you count them. They're incredibly innovative and imaginative and they do a wonderful job, but still, they're 1,500 to 2,000 people and they do not have the resources to take on something like this repatriation of the robe. However, if this bill passes—I hope you'll help us with it—they will have some place to go to in order to ask for advice on storage, repatriation, restoration and safekeeping. I'm sure you all heard about the museum in Brazil that burned to the ground a week or so ago. A whole lot of Canadian aboriginal artifacts were lost in that fire, priceless artifacts that are gone forever and ever because they weren't stored properly. Maybe we can save some future losses if we can have this bill passed and we can get those artifacts back in our own hands and properly stored. It's been a thrill to be involved with this issue. It's been a thrill to talk to aboriginal peoples all across the country and all around the world about this. It's been very gratifying to me. What started out to be a small thing to just add a voice has turned out to be something really meaningful, and I appreciate your attention to it. I have to hand it to Heather Stevens. She's done a great job on this. Joel, too, you did a great job. With that, I'm going to finish my remarks. I welcome your interventions and questions and everything else. Ms. Stevens, do you have a presentation? Hello and good afternoon, Madam Chair and committee members. My name is Heather Stevens. I'm a Mi'kmaq woman from Millbrook First Nation in Nova Scotia, as Bill said. I am here before you this afternoon to address Bill C-391. In doing so, I'm going to tell you a bit about me and the story behind the bill. I am the operations supervisor at the Millbrook Cultural and Heritage Centre, which is located in Millbrook First Nation. Within the centre, we have artifacts from our Mi'kmaq people that date back 7,500 years. Think about that. It's a long time ago. I'm going to go off my notes just a bit. We have an archeological dig taking place just outside of our location at Mi'kmawey Debert. In Mi'kmawey Debert, artifacts dating back 13,600 years for our people were uncovered. Mind you, we don't have them in our centre yet either. We're hoping to get those as well. We are fortunate and honoured to have in our centre these artifacts from 7,500 years ago. I am here today to bring light to our struggle in trying to have a priceless piece of our Mi'kmaq cultural history returned to its mother country. The Mi'kmaq regalia that we are now trying to acquire is being held at the Melbourne Museum in Australia. This regalia dates back to about the 1840s. We have a picture of it in our museum, as Bill said, but the true piece is in the Melbourne Museum, tucked away somewhere. When I first started at the Glooscap Heritage Centre and Mi'kmaq Museum, which is now the Millbrook Cultural and Heritage Centre, I was a programs assistant. At that time, the picture of this regalia was in the same display case, and I often wondered why there was just a picture. Why didn't we have this historical regalia displayed here for our people from all over Mi'kma'ki, which in our language is “the land of the Mi'kmaq”, to see, touch and experience that part of our history at first hand? The answer I received from those in previous endeavours of trying to acquire the regalia in partnership with the Confederacy of Mainland Mi'kmaq and the GHC was that “We have tried, but there's too much red tape and it's just not worth the fight anymore.” That frustrated me so much, but in the position I held, my hands were tied. When I was eventually put in my current position, I made it a point to have not only me but the entire staff speak to all visitors to our centre about the regalia. In doing so, we were hoping that eventually someone would listen and help us. That day came at the end of last year when MP Bill Casey came to the centre on a different matter. I had been chosen to give him a tour of the museum. When we reached that particular display case, I spoke to him about the value of the piece and the struggles that I had gone through to no avail. At that point, I saw a light in MP Bill Casey's eyes that I had never seen before. That light was hope. From that point on, MP Bill Casey has worked with me on moving forward with regard to acquiring this priceless historical Mi'kmaq regalia and having it returned to its rightful place. Over a short period of time, I made a connection with another first nations woman of the Worimi Nation, who is employed at the Melbourne Museum, and spoke with her about the regalia. She could relate to the meaning and the desire to get it back home where it belongs. She's so very excited to be a part of having this artifact returned to its rightful place. As of right now, the movement is slow, but I am very optimistic that if this bill passes, we are going to open a door that is going to let other first nation communities get back the material history that is rightfully theirs, and they will be able to share that history with others. Sharing this history among the Mi'kmaq people and others could uncover direct descendants of that regalia and other historical properties. The feeling is about recognition of wrongdoing and moving forward with a part of reconciliation for first nations. I, as well as many other first nation people, feel that this would be a step in the right direction, a step to allow us to reconnect with our past, which was taken from us so long ago. That's it. Thank you very much for your time, Madam Chair and committee. Thank you very much for those presentations. We're now going to questions and answers. We will begin with MP Randy Boissonnault, please. Thank you, MP Casey. You remind us of the important connections and possibilities that come from just being out and about in our own communities. That's fundamental to being an MP, and so is reconciliation to our government. As a non-status adopted Cree person and member of the indigenous caucus of our government, I fully support your initiative. I think you've been very clever in the drafting of the bill. Can you just share with us collectively why you have a national action plan, and then comment on any money from Treasury that may or may not come as a result of this bill? I'll also have follow-up questions. The experience I had was that Millbrook had no place to turn. I talked to museums, and they talk about repatriation, but from talking to indigenous communities, I feel they don't provide the help they need. The whole goal is to add a voice to small indigenous communities like Millbrook so that they're not all by themselves on this endeavour. As far as money goes, that's part of the strategy. This regalia, I understand, had been given a price of $500,000 to $600,000. That was the estimated value. We're talking about zero now; because of Bill C-391, we're talking about them returning it for zero. That's how this national strategy that I'm calling for could help. That was one of the barriers they ran into at the beginning. By adding our voice...and I just say to all members, it was two minutes and 37 seconds in the House of Commons. That's meaningful. I wouldn't rule out money being made available, but it's not necessary. Mostly I'm talking about assistance in communication and transportation, things like that. Safekeeping is really important. That's what it's about. That's why the person who bought this robe in 1843 wanted to save it. He wanted it saved. He treasured the Mi’kmaq traditions and culture. It's all in this book. It's just an amazing book. She spent five years writing it. I would like to see the treasures saved as well. Joel, thanks for the deft drafting. You put your finger on something, Bill. You thought you would give voice to indigenous peoples, and you really took out a megaphone without knowing it. A colleague of mine, Carolyn Campbell, who used to run the continuing education faculty for the University of Alberta, is now doing her doctorate at Oxford University on this topic of repatriating. It speaks to nationalism. It speaks to nationhood. It speaks to reconciliation efforts around the world. People are very interested in this theme. I have a question for you, Ms. Stevens. What was the conversation like with your counterpart in Melbourne? It was amazing. Her name is Genevieve. Genevieve was over the moon and then back. She's just so supportive. It's a good journey for her. It's a good journey, yes. She's so supportive and so understanding. As I mentioned, she is first nations as well, and they're also wanting to repatriate some of their stuff back. It's one of these things that enlightened her—and the fact that there is hope. Right now she's on maternity leave, so it's a waiting game for her to return, but she's on board fully. I will share my thanks with Ambassador Smith as well. This is propitious, because the Royal Alberta Museum, which will be western Canada's largest museum, is opening its doors October 3. You will have my full support to see this go through, because I suspect that there'll be lots of artifacts we'll be wanting to repatriate to western Canada. Thank you to all of you for your great work. We will now go to Mr. Shields, please. Thank you, Madam Chair, and thank you, witnesses, for being here. They're still talking about it. Right. Thank you. I only wish. It's great to see how Truro has come back economically and has returned to some of the economics that it used to have. It's interesting to see that. As you know, I spoke in the House in support of this particular bill. In my riding, I have a significantly large indigenous museum in Blackfoot Crossing. In terms of some of the issues—I spoke about it and you've probably listened to some of us speak about it—and the interest in the repatriation of artifacts, I think what you've provided in service is excellent, but how do we strengthen things to make sure that when these artifacts are collected, they are again used for this? That's part of the problem that Blackfoot Crossing has. They have a wealth of artifacts. Some of them have come from the Glenbow Museum in Calgary, which has one of the largest repositories of indigenous artifacts, but as some of it has come back to them, it's not on display. I've been in there. I know that they're displaying some of the things, but a lot of things they aren't. How do we build this relationship as they're returned to encourage their display? The second part of this is that when we talk about cost, I think there needs to be.... It's not just the transportation that wasn't addressed, but the expertise in our museum sector, in a sense, because the museum wasn't consulted on this. We need to find a way to support not just the return but also the storage, display and safekeeping. It's not just about returning it. We need a support mechanism through our museum association to strengthen the repository they're going back to. I think this bill needs to be strengthened in the sense of support, because we have a tremendous museum organization with tremendous skills, but it's not being transferred in this piece of legislation or accounted for. I think that's something we need to do. Lastly, maybe I'll comment. I own a significant piece of art. It's from an indigenous person who gave it to me. Is this something that I should be concerned about? Holding it personally, could there be...? What is the state of holding aboriginal art that's significant? Am I at risk now of having that requested back? That's something that we have to be careful with here, because there's significant indigenous art out there that is very valuable. Those are my comments, if you'd like to respond. I'd like to respond to part of it. First of all, there's nothing in this about confiscation if you have a legally acquired artifact. The robe was legally acquired. Mr. Bill Casey: The man bought it in 1843. He died and left it to the museum. It was totally legal, no question. There's nothing in this about confiscation. I started to tell you about the U.S., and I don't think I finished the story. They have laws in the U.S. saying that an institution that receives federal money must return indigenous artifacts. We're not doing that. We're asking for co-operation. If something is illegally acquired or available or somebody wants to return it—like your art, if you decided to return it—this strategy will help to facilitate that return. I also agree with you 100% on safe storage and display, because in Brazil they didn't have that and they lost those artifacts forever and ever. They're gone. Imagine that. This is part of the strategy. We're just scratching the surface here. It is open for the strategy to develop these things as they unfold and as they are needed. You've raised good issues, and amendments are welcome. Yes, and we will do them. I think that's the point: to strengthen this bill. That's what our amendments would do. We're open to strengthening it or amending it. I'm convinced that this is really a much more important thing than I thought it was when I started. I absolutely agree with you. As I say, we have an indigenous centre and it's large, but yet when the people come there, they're not seeing the artifacts. We want people to see those things that they have, with the stories and traditions that go with them. I hear the oral stories. The elders are still telling them, but the artifacts are not part of the stories. They're there, but they're not being.... We want to make sure that this is part of the process. This one's in Australia. Hopefully, it will come.... It's in Australia in a closet, we think. I totally agree with you. There is a struggle with first nations communities having the ability to properly store and properly tell the story. It does need to be supported. It does need to be helped. Millbrook is fortunate enough to have that centre, where we actually have the right display case and the right place to store this robe if we do get it back. It has a picture in it right now, but it's set to go for the robe to come back. I totally agree with what you're saying with regard to the fact that the first nations communities do need support from government to have that ability to store their artifacts properly and to be able to have them available to tell the history and to tell the stories that are meaningful. I agree with you entirely, and I hope that this helps to do that. It's just an item. Yes, I agree with you entirely. Hopefully, if it does happen that these first nations communities get the support they need to have these artifacts or historical things brought back, the history will come with them. That history can then be told and shared. There might be descendants who might be able to help out. Who knows? The story could continue. I'm going to have to jump in. Unfortunately, that is all of your time, but thank you for all of that. I now give the floor to Mr. Nantel. Mr. Casey, I'd like to begin by saying that for me as an MP, and for anyone here on the Hill, the happiness in your eyes is wonderful to see; you are pleased with your success, and rightly so. By focusing on issues in our ridings, we sometimes come across causes like this one, that deserve particular, and even national, attention. I might even say international, because Australia would like to have the artifact back. With that said, I think, like my colleague Mr. Shields, that communities will indeed be able to care for the objects when they are back. I can't help but think about the museums study, in this connection. I was told that the report on that study was tabled this morning; bravo! I expect that the report on cultural centres will also eventually be tabled. There was a lot of debate about the issues and risks of having interpretation centres or museums of that type in locations that are far away from large centres. Would this not be a good opportunity to give a national profile to the eventual repatriation of this type of artifact to those museums, and to obtain the financial support of prestigious partners? Does exhibiting repatriated artifacts in showcases and display cases installed with the public's help not constitute a great opportunity to inject new life into our small community museums? Absolutely. There could be a partnership between us and other indigenous communities. There's absolutely a door that can be opened. To have that connection and to be able to share and support that would be beyond words. Having that support and connection would be something that I imagine would open so many hearts and so many avenues, absolutely. All these items, as you say, without the back story behind them, are just objects. I'm thinking of what we went through over the past ten years, of our collective awakening to the impact of residential schools, and I think that more than ever, your story needs to be told, and this is a good opportunity to do that. Mr. Casey, do you agree? I do, but first of all we want to bring them back from Australia and other countries if we can. I live in Nova Scotia, but this robe is known to aboriginals in Nova Scotia, P.E.I., New Brunswick and Newfoundland. They know it well. This robe is something they talk about. It's part of them. It's part of their culture. If we're successful at repatriating it, it will come to Millbrook, but it will be shared with the whole of Atlantic Canada because it's a Mi'kmaq artifact and they treasure it, and I don't blame them. People talk about it. I was at an event on Saturday night with Native Council of Nova Scotia aboriginals. They had dancers there, drummers and performers, all in replica regalia. With this they could have more accurate replica regalia. It was an incredible thing. I don't know if you have powwows where you live, but we have powwows, and they are absolutely incredible. They bring back the traditional ceremonies and culture of dancing and singing and artifacts and artwork. They are incredible. They're just starting, but they are building and increasing. Millbrook has one of the most impressive powwows every summer, and it's just amazing. Even this event on Saturday night—it was a dinner—was amazing with the dancers and the culture available, even though it was just in a hotel. If they had the real, genuine artifacts, it would be so much better. As I say, if this particular robe comes back to Millbrook, there will be a celebration all over eastern Canada. I actually think there would be a celebration throughout North America. The Mi'kmaq people reside not only here in the eastern part of Canada but all over the world, and to have something like that come back home would set a precedent. It would be amazing to have that. I now yield the floor to Ms. Dhillon. Thank you for coming and testifying before us. You have up to seven minutes. If I may assist, I don't think we're going to get time to go to Mr. Hogg, so if he has a question, you may want to include it. Thank you for coming and testifying before us. Mr. Casey spoke to us about this in our national caucus a few months ago, and we could see his eyes tear up and light up at the same time. It was a very proud moment for him. These are the things we can do as members of Parliament. What kind of effect has this had on your community? Honestly, the effect on the community has been awe and disbelief: Is this really going to happen? It's something that would be so meaningful if it happened. A lot of the things we have tried over the years haven't happened. There are always good intentions, good intentions, good intentions, and then the door is shut and the intentions are gone, but if we were to have something like this happen, the fact that we're supported in something that means so much to us would mean something to us. It's not so much about reconciliation. It is reconciliation, but it's also recognizing that our history has to be back here where it belongs. Sure, it's all over the world and it's there, but it's not shared. It's not back with our people. It's not just for the Mi'kmaq people, but for all first nations in all of Canada. Then for you it would be symbolic for all first nations people throughout the world that an artifact that belonged to the originating country is coming back home. Absolutely, and it just gives all other first nations people the hope that maybe what they attempt will happen. We set the groundwork here. We have opened the door for them, and to have that would be wonderful. Mr. Casey, for you personally, what would this mean? I'm going to have to start wearing sunglasses. Mr. Bill Casey: I was just sitting here thinking I'm going to celebrate the 30th anniversary of my first election in two months. Now, mind you, I've been thrown in, thrown out, and recycled. I've changed parties a few times, run as an independent, and I've been involved with some wonderful things. I had a private member's bill on brain tumour registries; it was really meaningful, but this is turning out to be more meaningful to me. If you want to know what it means to me, it means a great deal. I cherish our history, but I especially cherish the indigenous history. We have so much of it where I live, and we're very fortunate to have it. Heather talked about it. I can't say the Mi'kmaq term, but it's called Debert in English. They have discovered the oldest community in Canada. It's thirteen and a half thousand years old. It's very close to Millbrook. I'm hoping that we can make some progress on that before I am not here anymore. This is very meaningful, and I didn't even realize how meaningful it was until we started to get calls from people—calls from indigenous people, calls from museums, calls from all over the world. A journalist in Germany called and interviewed me on it. That has never happened to me before, and I doubt that many private members' bills get written up in China in Chinese. It has turned out to be a very profound thing and very meaningful to me. I'm very grateful for the chance to have this bill and have you listen to it, and hopefully it will pass. From what you've said, it will have an impact on the entire world as well. From your testimony, this is what I'm gathering. This is something incredible for Canadians and for indigenous communities across the world. This is for Ms. Stevens or Mr. Casey. What would you do to encourage other countries or communities to give back the items and ask that those that belong to the indigenous community be given back? I think I would just relate. Everybody has a history. Everybody has something that they connect with, and it would just be the connection, the relation that I would have with them, the understanding. Everybody has compassion. Everybody in some way or another understands that they need—or not that they need, but that it's good to have—their history and to have it available for other people to learn and to grow from. That's basically what I would do. Mr. Hogg has a question. I just want to answer that question if I may. I have a vision of Genevieve, the aboriginal woman in Australia, coming to Millbrook and presenting the regalia to Heather. That picture will go around the world. That is indigenous person to indigenous person—indigenous woman to indigenous woman, even. If we do get approval to move it and repatriate it, I'm going to do everything I can to see that happen. I would love Genevieve to bring the regalia here, and I'm sure it would go around the world. We'll go to Mr. Yurdiga now. Thank you, MP Casey. It's a great bill. I'm glad to see it coming forward and glad that I get to be part of it and to discuss its implementation eventually once it passes in the House. I just need some clarification. Obviously many first nations would love to display it within their communities. One concern is always coming forward: we don't have the expertise to maintain these items. We don't have the infrastructure or the financial ability to install some of these special humidity or temperature controls or whatever it may be. I'm not an expert on that side, but I'm sure there are many who can give a ballpark figure eventually. They would want help financially from the government because they don't have the means. It's very important to have these artifacts go back to the communities. They're very excited and happy about the bill. Do you see in the strategy that there is money attached to it, whether for training, infrastructure costs, or even operational costs? To have these things, special care is needed. Can you elaborate a little bit so I have a better understanding of where you want this bill to go, and how it's going to impact our communities? I think you can tell that I would like it to go a long way. This calls for that strategy. I'm calling for the strategy you're calling for, and that includes all of those things you listed and the resources that would be necessary. We're talking about a lot of different things. We just agreed with the United Nations Declaration on the Rights of Indigenous Peoples. We're going to adopt that. In there it says we have to take special measures to help the economies of first nations. This is a special measure. If we can help them establish what you're talking about—facilities with artifacts on display—that's going to be a huge draw. Everybody is interested in indigenous history, it seems. I am for sure, and I know most people are, but they don't have the resources. Everything we're doing, everything we're saying we're going to do, points to this. It points in this direction. We've adopted it. We've agreed to take special measures. The number one issue for the Indigenous Tourism Association was artifacts. I had no idea that would be it, but I had just tabled my Bill C-391. I went to this meeting in Centre Block, and that was the number one issue. They didn't know about my bill, but their number one issue was restoring their artifacts so that they could put them on display and attract tourists. This will help pay for it. It could be a viable business plan. They have these artifacts on this display and it's going to cost this much money. It might be a positive economic business plan you could put forward and finance in that way. The strategy is to help first nations like Millbrook figure that out. I'm not calling for a lot of money to be spent on it, but I'm calling for a strategy to help first nations. For sure, there will be cases where it's just not viable. If that robe was $500,000 or $600,000 10 or 15 years ago, it would probably be much more today. There's no way we could support that, but by adding a voice, which the House of Commons has done, maybe we're going to get it back for zero dollars. Fortunately, Millbrook does have a properly built facility that has environmental controls and fire protection and everything else, but you're right that a lot of them don't. Maybe it's part of the strategy to help work on that. If we recognize the artifacts as a tremendous resource and a tremendous asset—and they are—then maybe these resources will be available to develop them. How's that for an answer? That's the end of your time. We will go to Mr. Hogg for our final questions. I think the principle you put forward is to be accepted and understood in light of our Canadian culture, hopefully worldwide. As I read through the way you've laid it out, it's about providing a forum for that information to come together and result in negotiations to deal with it. There's nothing forcing any type of change within it. Considering the legislation you've submitted and the conversations you've had to date, is there anything in the legislation that you think you might have changed or might be different, or are you quite satisfied that it's consistent with the principles and values you put forward? The only push-back we've had on it is whether it could be interpreted as confiscation. It was never meant to be confiscation. That's the only feedback we've had on it. They weren't opposed to it, but they had questions on it. If that has to be clarified, we should do it. There never was an attempt to have anybody's artifacts confiscated if they obtained them legally. This robe, for example, was obtained 100% legally. The whole story is in this book. The whole chapter on that robe is in this book. It tells exactly where it came from and how it got to where it is. There was never any question about the legality of the ownership of the robe, but now it's available, maybe. Millbrook can't do this by themselves, so if we have a national strategy, it will add value to our country if we can help bring it back. In the U.S. they have legislation that does allow governments to confiscate, but in Canada we don't have that, and I'm not calling for it. That was the only thing. Certainly in the information we have, you talk about looking for resolution, not confiscation of anything. I'm not sure where a reader would get that other than by an assumption they might make. We talked to a lot of museum associations, and I mean dozens. We talked to the main one, the Canadian Museum Association, and they feel they could do this too, but when I talk to indigenous people, they feel that museums are competitors for the artifacts. It's two completely different perspectives. The museums feel they can help, and I believe they're sincere, but when I talk to indigenous people, they say the museums are competitors for the artifacts. This is focused on indigenous peoples and returning the artifacts to them. I don't know.... Where is Mount Currie in British Columbia? It's just north of Whistler. You mentioned that. I've been to Mount Currie a few times. I don't know how he heard about it or what, but this is filtering through everywhere. I'm thinking of the Semiahmoo First Nation, which I live next door to, and the UBC Museum of Anthropology, which has tremendous aboriginal artifacts. I guess because of the mediation or process, I can see the Semiahmoo people wanting to get some things back that are owned by the provincial museum and things like that. I think that's the principle you talked about, which is that it should go back to the community from which it came, at any type of central gathering point. I think there could be some interest in this. I really like the notion you put into it, and I agree with that principle, but I like that with the mediation you're saying we're trying to find a forum in which you might be able to negotiate and discuss that and put that in place rather than anything further. I like the way you framed it and I like the way it comes about, and I certainly like the principle that you're putting it forward, so thank you for that. I'm going to tell you that I hope this starts a conversation with museums or associations that have indigenous artifacts but aren't even thinking about repatriation. Maybe some will think about it. There's no confiscation, but certainly encouragement to talk about it. A number of the Haida people's artifacts are in New York. They've been fighting that for some time. They repatriated some of those, but hopefully this would encourage them and give them the facility and the ability for them to do more of that. I think there were some Haida artifacts in the fire in Brazil, were there not? Thank you, Mr. Casey, Mr. Henderson, and Ms. Stevens, for being here today and for starting us off on our study of this bill. It looks as though we're going to have to have a lot of interesting discussions to look into it, and maybe a book to read as well. Thank you very much. That will bring this session to an end.